Dr. James Patterson “Franklin” Williams was born on the 12th March, 1877 near Glenwilliams, in Halton Twp. He was the son of Darius Williams and the former Augusta “Phoebe” Hutton. He had a sister named Violet and a brother named Charles. Dr. Williams graduated from High School in Georgetown 1896. Dr. Williams attended The University of Toronto Faculty of Medicine and graduated in 1900. 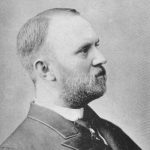 He started practicing medicine in Dresden. He joined the practice of Dr. Daniel Galbraith on St. George Street. From publications it appears that Dr. Williams specialized in midwifery and diseases associated with women and children. He married Mary Belle Galbraith on the 26th of June, 1901. 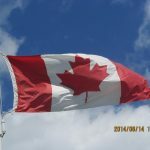 Mrs. Williams was born in Dresden, Ontario on the 16th of October, 1874, the daughter of Dr. Daniel Galbraith and the former Lavinia DeCow. She had an older sister named Annie Christina who drowned when she was 13 years old and she had a younger brother named Daniel Royden. He died of dysentary before he was a year old. Dr. and Mrs. Williams lived on Hughes Street in Dresden. They had a son, Charles Daniel “Galbraith” Williams born on the 21st of May, 1905. Dr. Williams became the Grand Master of the I.O.O.F. while in Dresden. Mrs. Williams’ father, Dr. Galbraith died on the 20th of December, 1916 in Dresden. 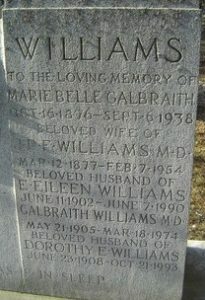 Sometime after the death of Dr Galbraith, Dr. Williams moved his family and his medical practice to Toronto. His mother-in-law, Lavinia Galbraith moved with them and they all lived at 550 Palmerston Blvd. Mrs. Galbraith died on the 10th of July, 1927. Mrs. Mary Belle Williams died on the 6th of September, 1938. She was buried at Prospect Cemetery in Toronto. Dr. Williams married Ethel “Eileen” McClure in Toronto. Mrs. Williams was born on the 11th of June, 1903, in York County, the daughter John Alex McClure and the former Clara Albertha Dickson. Her father was a merchant. She had an older brother named Bradford and a younger sister named Isobel. They did not have any children together. Dr. Williams died on the 7th of February, 1954. His wife Ethel Eileen Williams died on the 7th of June, 1990. They are both buried at Prospect Cemetery. His son Charles Daniel “Galbraith” Williams became a physician. He died on the 18th of March, 1974. He and his wife Dorothy are also buried at Prospect Cemetery in Toronto. 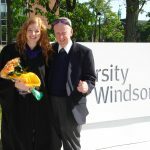 *His father-in-law, Dr. Daniel Galbraith also appears on the Chatham-Kent Physician Tribute website.